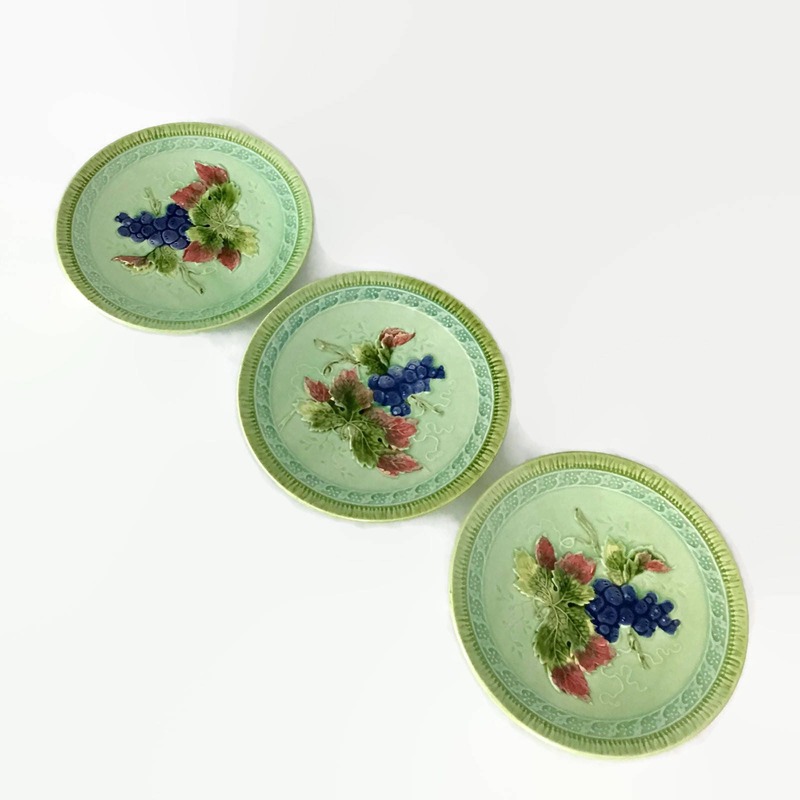 Beautiful set of 3 vintage majolica small plates made by Black Forest Art Pottery in Germany. 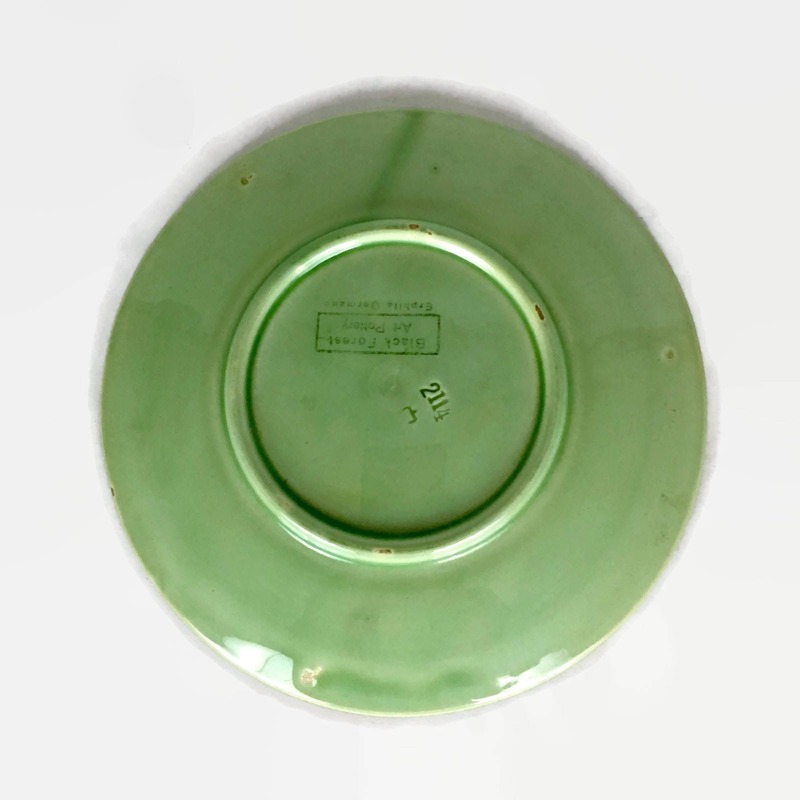 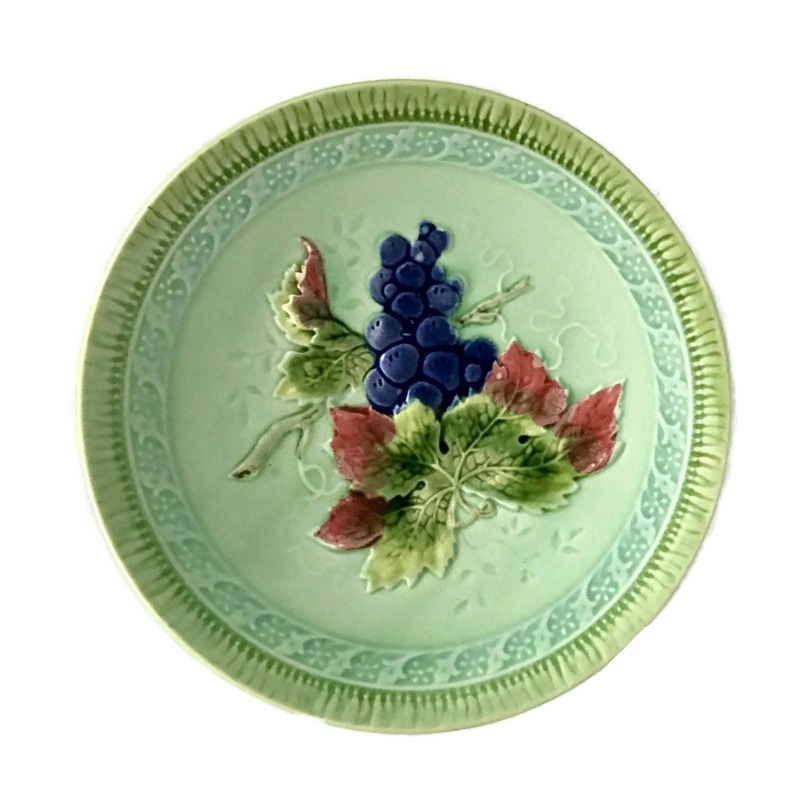 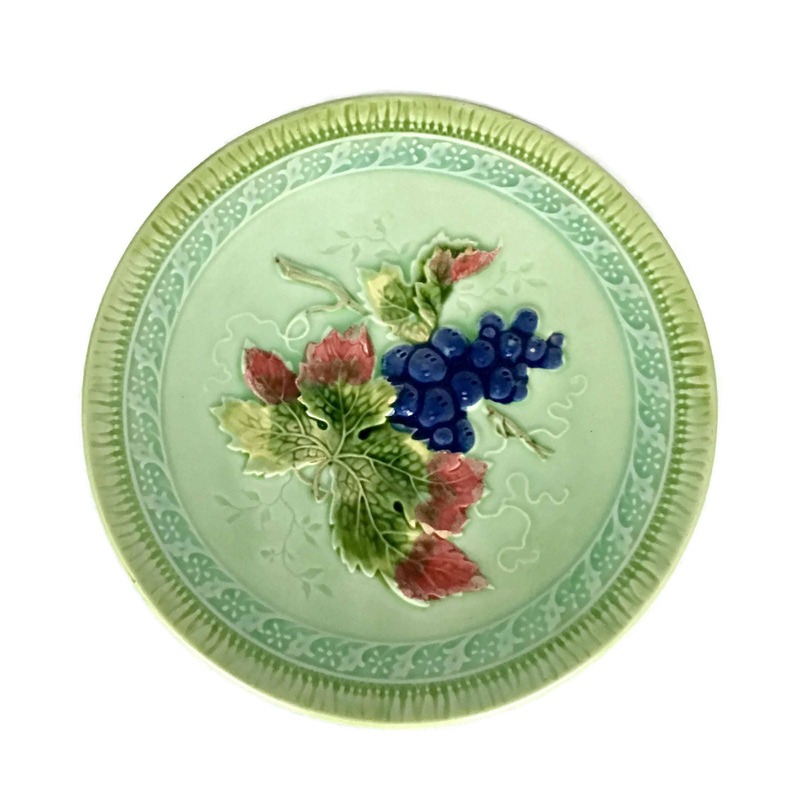 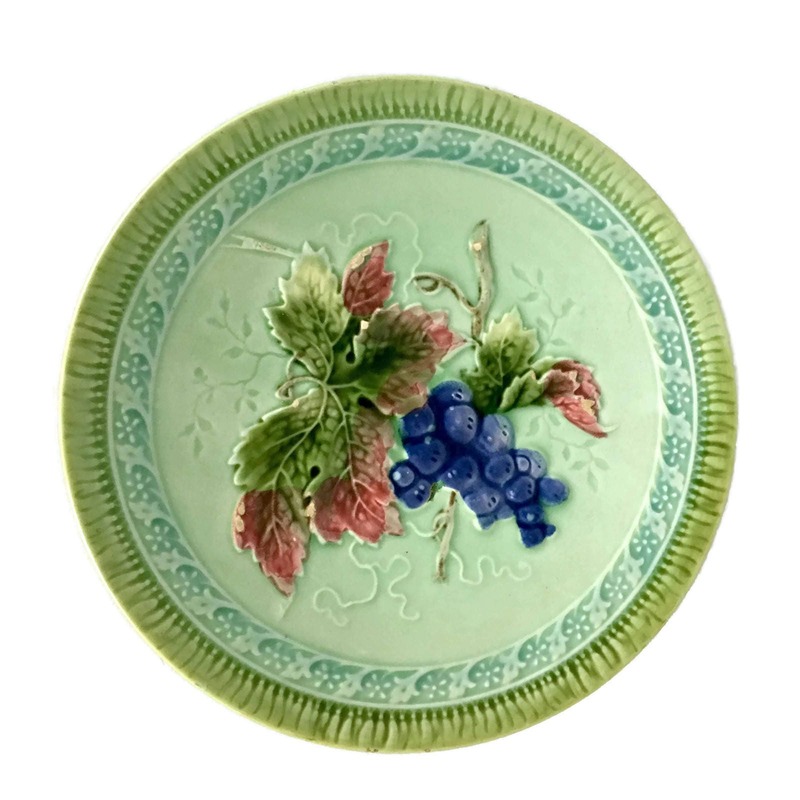 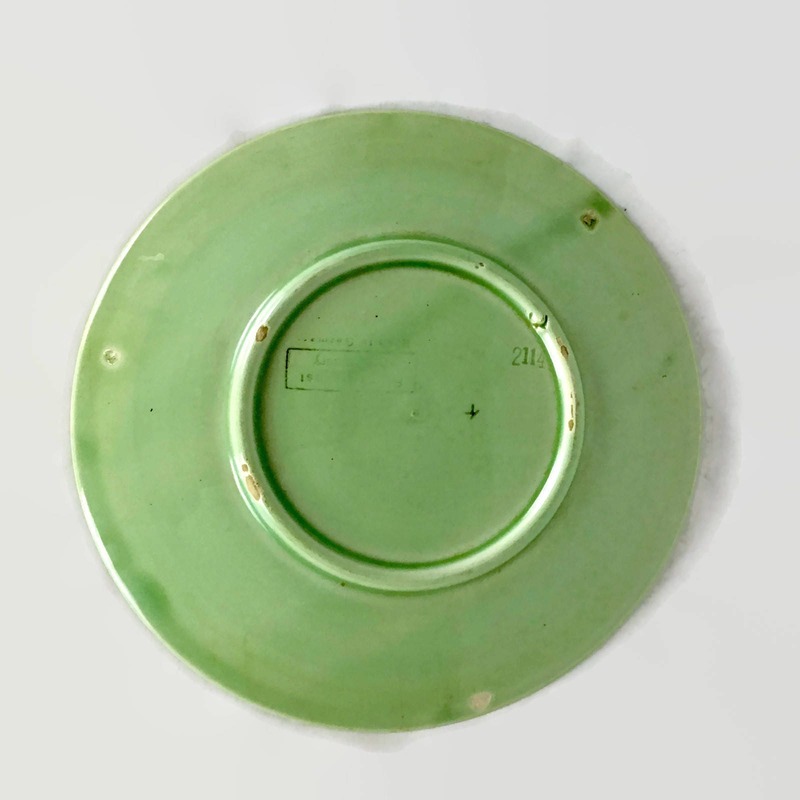 Plates features a green and grape design. 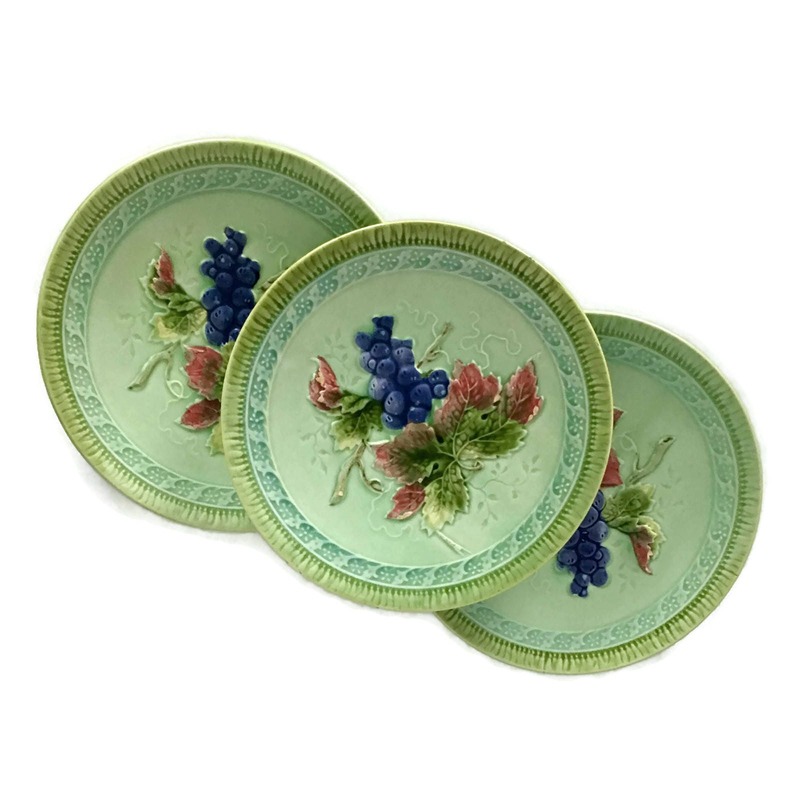 Plates all have some minor chipping and discoloration as shown in the above pictures but are still lovely. 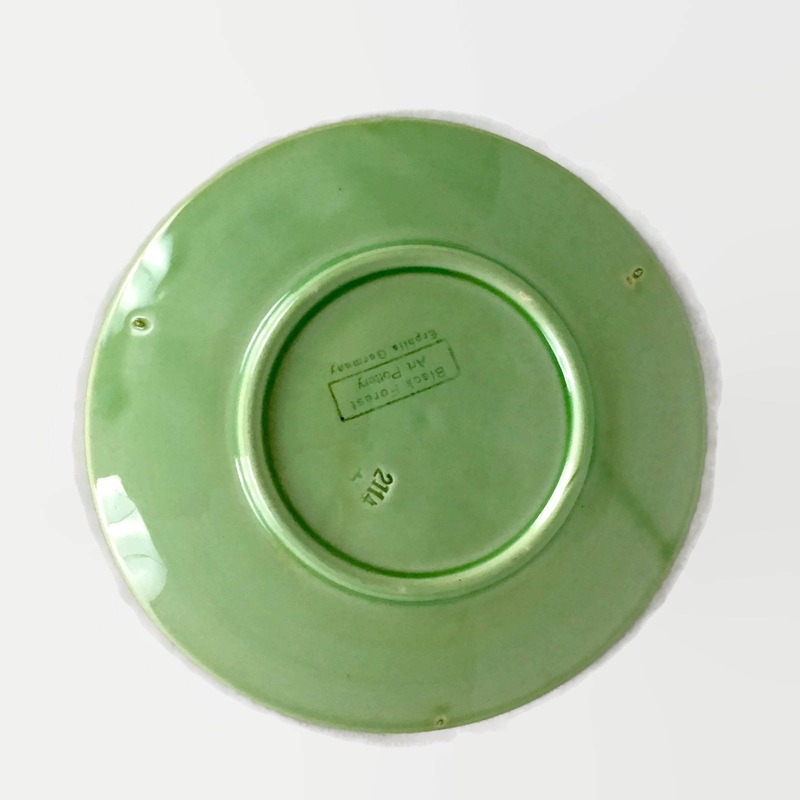 Listing price reflects wear. 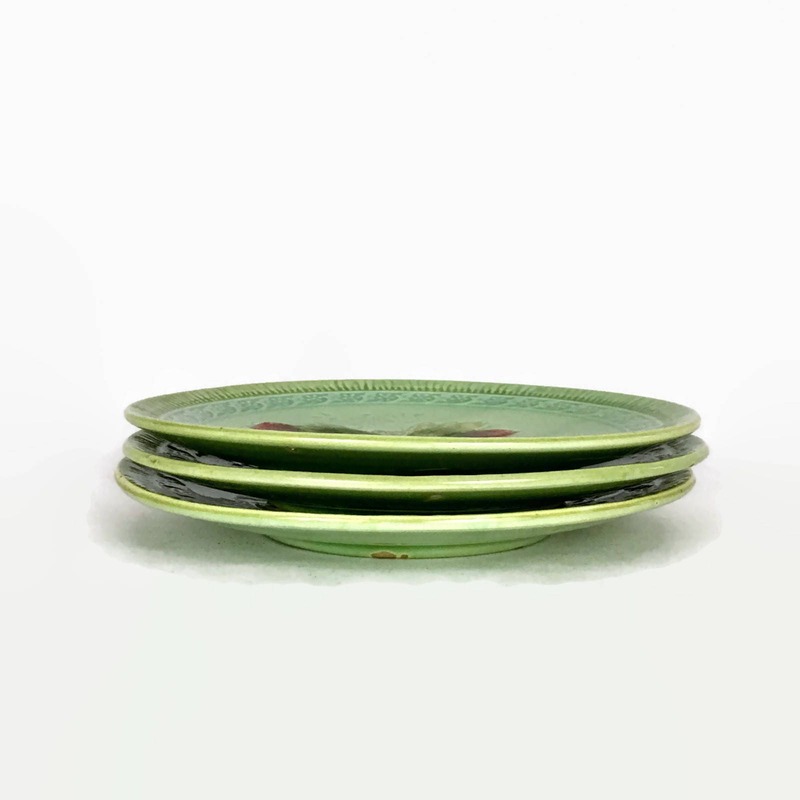 + Each plate weighs 10.4 oz.